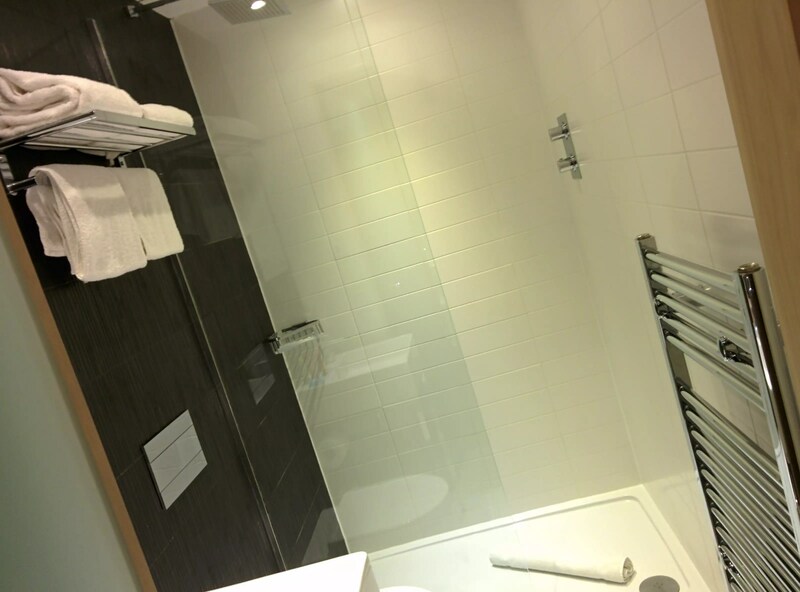 A few weeks ago, for a work trip, I spent a couple of nights at the Grassmarket Hotel. It was a bit more interesting than the usual so I wanted to post about it. Arriving at first, there was no-one to greet me which was a bit disappointing but it seems the bar next door is connected and someone quickly came through to check me in. The room was small (okay, tiny) but much more interesting that your average. It’s not everywhere that plasters the wall with Dandy covers, eh? I guess you’d call that quirky. It’s kinda fun, and makes you appreciate the place more than just somewhere to sleep which is nice. They’ve made a nice extra effort to make the whole tea and coffee thing that bit better. 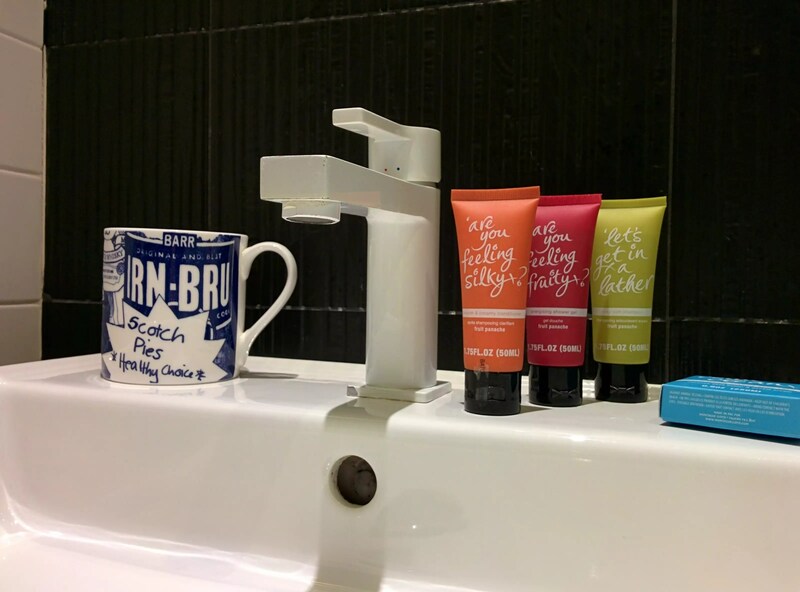 For a start you get mugs, not tiny cups – awesome for that first cuppa in the morning. 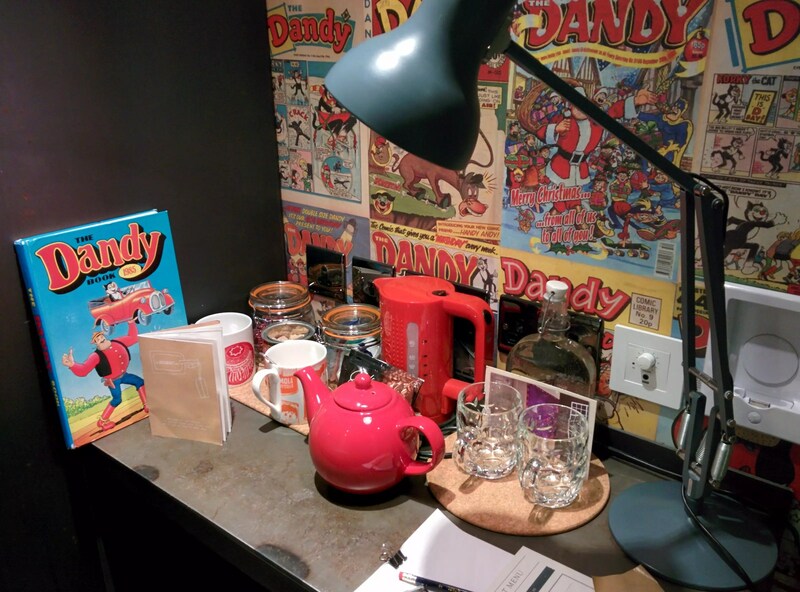 There’s a proper teapot too, and a nice selection of alternative teas as well as the standard English Breakfast Tea. There’s a big bottle of water as well and some nice big glasses to drink from instead of making do with funny tasting tap water. You may have noticed the copy of the Dandy too 🙂 I didn’t read it, but it’s definitely a nice to have. The bed was big and soft with four great, fluffy pillows that should suit any preference. For someone who struggles to sleep in a new place, I had a really good kip. While the character of the place may seem to some like trying to hard, I like that it makes you smile a little and puts you at ease in what is a strange place, helping you relax. 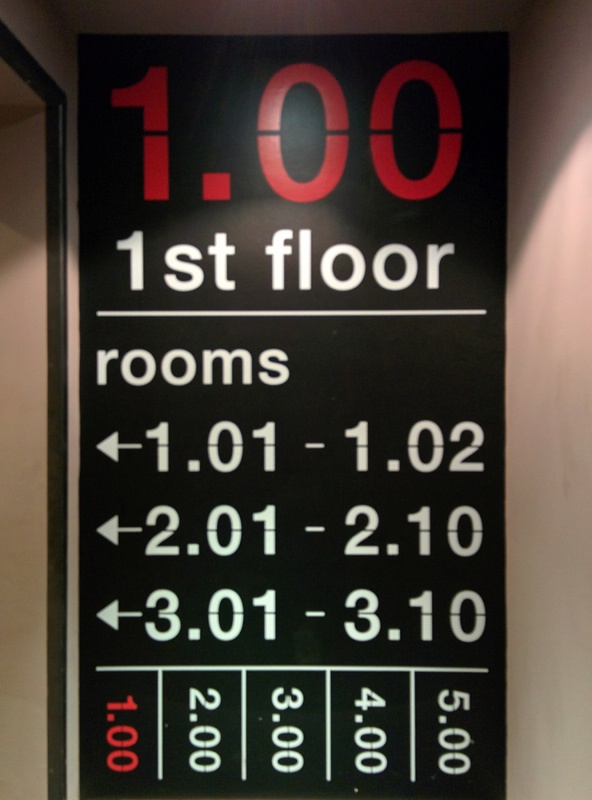 If you ever need to go to Edinburgh, I’d suggest you give the Grassmarket Hotel a go. 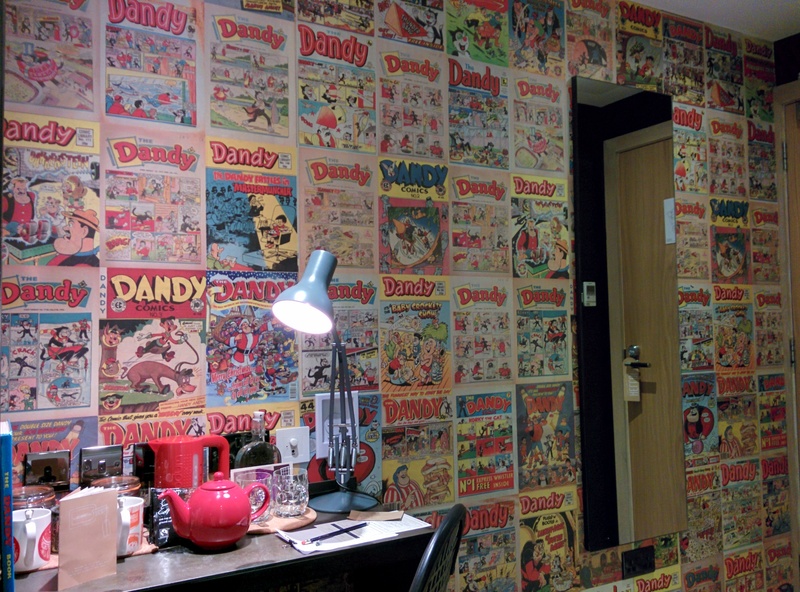 Haha, I really like the Dandy wall! That is fairly unusual! Not many places you can entertain yourself by reading the walls either!